GOP congressman: Indoor tanning tax is an unfair burden on women, who love tanning. Famously tan Americans include reality TV stars Nicole “Snooki” Polizzi and Donald J. Trump. Republicans in Congress care about women. They care about women so much, their proposed health care plan would protect their wives and daughters from pesky insurance coverage for abortion. As a bonus, the plan would end the Affordable Care Act’s 10 percent tax on indoor tanning, a thing women love and should be able to access without undue financial burden. Yes, women make up between 70 and 80 percent of indoor-tanning customers, and women under 30 tan the most. Smith uses this fact to argue that women are unfairly harmed by the ACA’s tanning tax. Dermatologists, meanwhile, connect the demographics of tanning to dramatic increases in the rates of skin cancer among young women in recent decades. “Whoever decided to impose this tax seven years ago, before I was here, I’d be quite curious of why did they just randomly pick this tax to have it paid for on the backs of so many females,” Smith said in his feminist tirade, before again recommending his favorite search engine. “If you look at the number one cause of skin cancer, it’s not tanning beds. Do a Google search. It’s the sun.” Smith suggested that Democrats tax the sun instead of tanning salons. The American Suntanning Association, which lobbies for tanning salons and suppliers, says the ACA’s tanning tax caused thousands of U.S. salons to close, eliminating tens of thousands of jobs. But there have been other developments in the tanning sector that could be equally, if not more responsible for the industry’s decline. First, there’s evidence that the indoor-tanning industry has always rested on unstable footing—Bloomberg reports that, between 2001 and 2011, tanning-salon owners were some of the most likely to default on Small Business Association–backed loans. There’s also the small issue of skin cancer, about which the general public has become increasingly aware in recent years. In 2014, the U.S. Surgeon General issued a warning about the connection between indoor tanning and skin cancer. The Centers for Disease Control and Prevention states bluntly that “indoor tanning is not safe,” citing several studies published years after the ACA’s tax went into effect. When the Indoor Tanning Association began publicly touting the so-called “health benefits” of tanning (vitamin D absorption, happy feelings) in 2010, the Federal Trade Commission made it stop. It’s also a stretch to argue that a 10 percent tax on an already-cheap luxury service has, all on its own, kept enough customers away to shut down thousands of salons. At Palm Beach Tan, one of the most popular chains in the country, tanning sessions cost about $10 to $20, depending on salon location. A customer who can afford to spend $15 on a tanning session is highly unlikely to give up tanning altogether rather than pay an extra $1.50, when she could just skip one session out of every 11 and pay the same amount. And one massive meta-analysis published in 2006 found that the risk of melanoma rose 75 percent for people who began indoor-tanning before they turned 35—so if cost really is the issue, and some customers are truly burdened by an $11 session but not a $10 one, the extra dollar is nothing compared to the health-care costs they’ll face in the eventuality that they develop a life-threatening condition. With the famously tawny Obamacare hater Donald Trump in the White House, the GOP is unlikely to budge on taxing a dangerous luxury purchase that raises health-care costs for everyone. 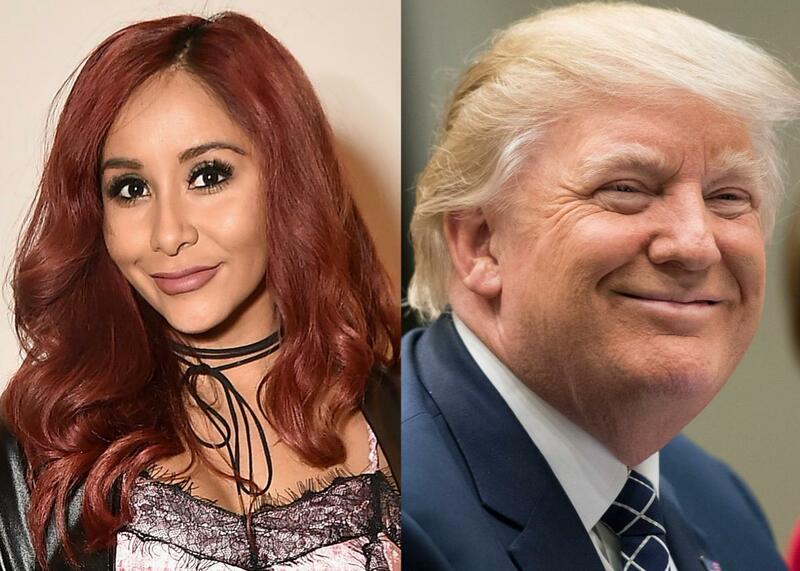 Trump shares a love of a burnt-sienna complexion with Nicole “Snooki” Polizzi (who once bonded with Sen. John McCain on Twitter over their opposition to the ACA’s tanning tax), and super-cool reality TV stars like to stick together. Maybe someone can convince them to switch to a noncarcinogenic, untaxed, equally orange alternative: the spray tan.